(Above)-March 19th and gave her hell!!! (Above)-March 19th through the light handle, very windy day. (Above)-October 18th made an inch or 2 and coated the ground in white!!! the season has officially begun!!!!! once i fix the the hydrant that was blown out of the ground on testing today…..Opps. (Above)-Hard to believe that this pic right here was the second run of October 18th, more running on the 19th to!! 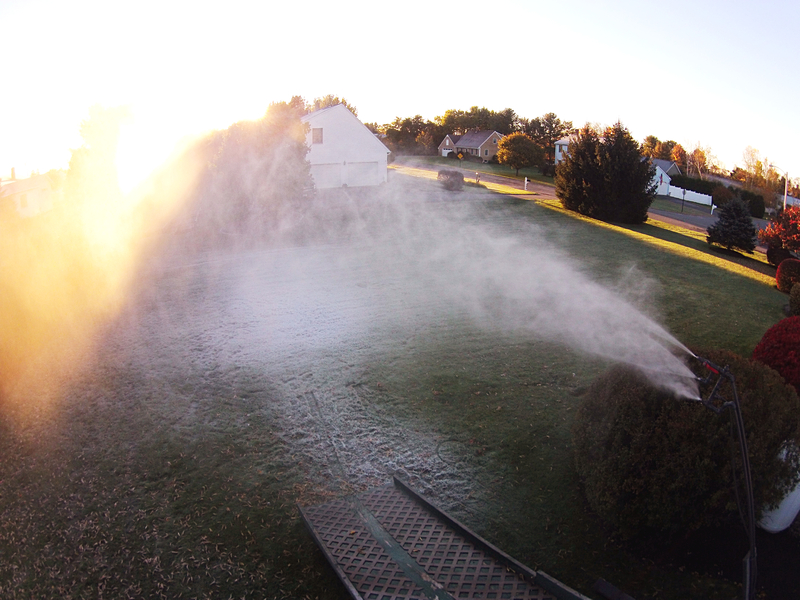 (Above)-October 19th Monday morning with the drone, 500 gallons in a day, it may not look like it but it sure is!! !, only running below half capacity the entire time. October to remember continues. 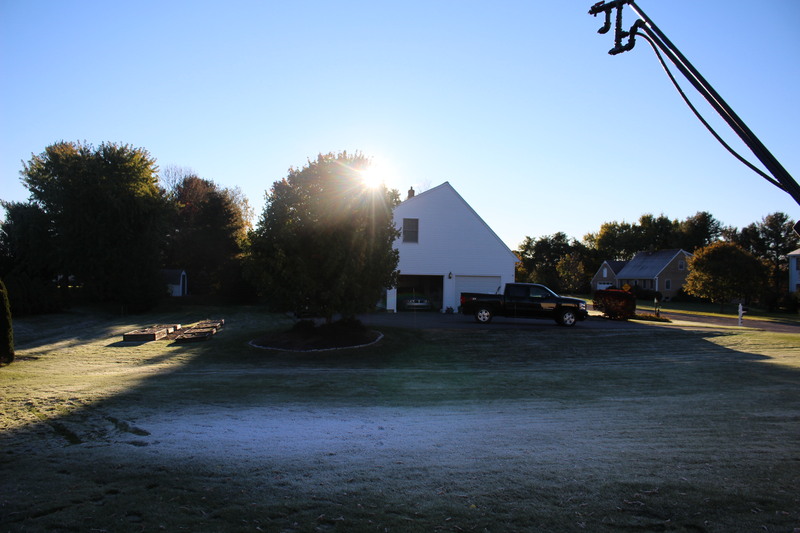 (Above)-November 17th, cold front hit after being plagued by warm temps, System maxed with 5 GPM, 10.5 CFM. Hoping for 3-5 inch pile each gun. (Above)-November 17th from different angle near tower gun. 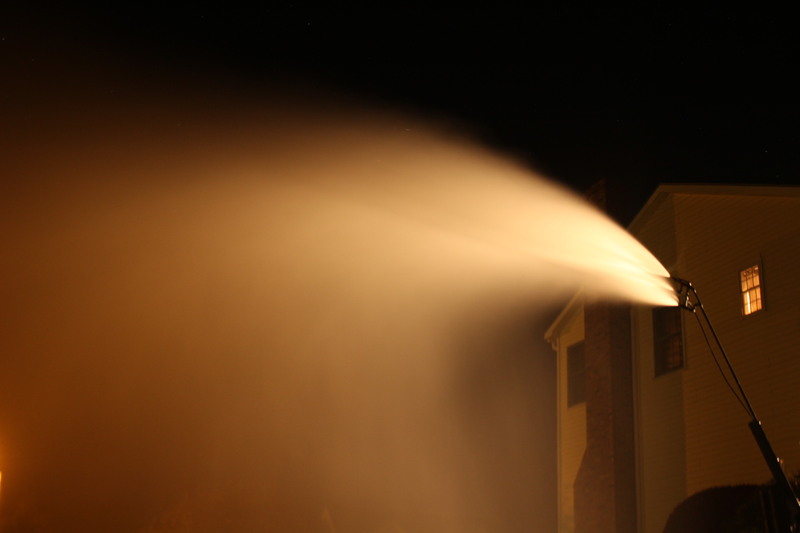 (above)-this is what 4 hours of running looks like for CJ Snowmaking, hoping for another 11 hours on the 24th alone and this november started slow but ending strong so far!! (Above)-Mini Rat at work while making some good base snow!!! (Above)-Mini Rat doing some terrain expansion of the skiers left side of Forest Park. (above)-Cat 290 in joint operations with an old pressure washer pump on the night of March 4th, a Hypro Pump at 3.1 GPM Is in store to replace the aging pump.